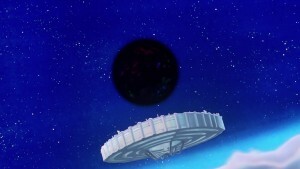 How much does the Galaxy Cauldron from Sailor Moon resemble the recently imaged supermassive black hole? Earlier this week Nasa released the first ever image of a black hole. I’m referring to it as an image and not a photograph due to the technique used. For more on the specifics check out this special mini episode of The Reality Check featuring Exposing Pseudoastronomy’s Stuart Robbins. 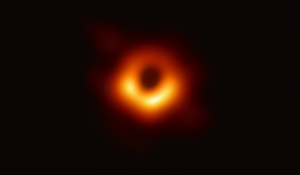 This is an image of the supermassive black hole which is located at the centre of the Messier 87 galaxy which is about 55 million light year away. This of course makes one immediately think of Sailor Moon! The final conflict between Sailor Moon and Galaxia takes place at the centre of our Milky Way galaxy. In this case it’s at the Galaxy Cauldron, the birthplace of all of the Milky Way’s heavenly bodies. What, if any, basis does this location have in reality? Most, possibly all, galaxies have a supermassive black hole at the centre and so the imaged black hole in Messier 87 is likely quite similar to the one in the Milky Way. 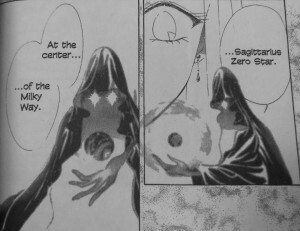 The Stars arc of the manga mentions a number of times that the location in the centre of the galaxy where Galaxia finds what she is looking for and ultimately where Sailor Moon follows, is Sagittarius Zero Star. 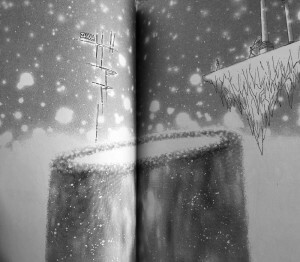 This is a fictional place however it is mentioned that it is located within Sagittarius Alpha Star. This is based on a real astronomical area which, in the real world like in the manga, is located at the centre of the Milky Way galaxy, our galaxy. The actual of the area is “Sagittarius A*“, pronounced “Sagittarius A Star”, which is quite close in spelling to the fictional “Sagittarius Alpha Star”. No Galaxy Cauldron or Galaxia’s castle exists at Sagittarius A* which describes the entire supermassive black hole at the centre of our galaxy! So what, if anything, is the black hole meant to be? 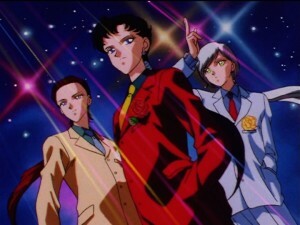 Is all of Sagittarius Alpha Star the supermassive black hole in Sailor Moon? It isn’t really clear. As Sagittarius Zero Star is located at the centre of Sagittarius Alpha Star it seems like this itself isn’t in the black hole. One can wonder how much of this area Naoko Takeuchi chose to base on black holes. One feature of a black hole is the loss of any information which enters it. This doesn’t mean that a book entering a black hole comes out empty, but rather than any information, such the way matter is arranged or a signal that enters it, would be lost. What does eventually escape a black hole is known as Hawking Radiation and this does not preserve the information of what originally went into the black hole. When entering Sagittarius Alpha Star, traveling to meet Sailor Galaxia, Sailor Moon travels down the River of Forgetfulness where Sailor Lethe causes her to lose her memory. It may be a bit of a stretch but there’s a comparison to be made here. The information in a person’s mind is lost when entering a black hole and that is manifested as a magical process in which memory is lost. The counterpart to Sailor Lethe is Sailor Mnemosyne and the River of Memory. I can’t say I can think of a black hole equivalent to this! Further there’s the idea that nothing escapes the event horizon of a black hole. 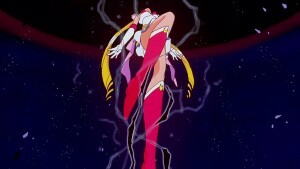 When Sailor Moon enters the Galaxy Cauldron there is an expectation that she could not come out or remain intact. Guardian Cosmo mentions that she is powerful to maintain her appearance inside the Cauldron. Is this a reference to things being stuck in a black hole or the loss of information? Clearly we have things in Sailor Moon which do actually get preserved after entering the black hole and subsequently escape it, but this is presented as being exceptional. This is a magical series where hard rules are often broken. How many times has the Silver Crystal been used and not resulted in Sailor Moon’s death or had her somehow cheat that rule after all? Besides this the Galaxy Cauldron exhibits a number of properties which don’t really fit with black holes or more specifically the supermassive black hole at the centre of our galaxy. It is said to be the birthplace of all heavenly bodies in the Milky Way. This would include all stars, planets and moons. Pretty much anything which has a Sailor Guardian! This isn’t really how the galaxy works to be sure. Solar systems, with their stars, planets, moons and other celestial bodies, are formed as matter from dust and gasses groups together thanks to gravity in the vastness of space. This does not require a black hole and quite to the contrary, if any of this matter does go into a black hole, it generally doesn’t come out. A star which explodes certainly can eventually be reformed as new stars, planets and such, but a black hole is not included in this life cycle. This also plays around Sailor Crystals which go in and out of the Galaxy Cauldron. This behaviour certainly makes sense as an in universe explanation of things but it doesn’t fit with how black holes work. A supermassive black hole will grow in mass and size as other stars and celestial bodies enter them, but this is a one way trip. Considering that the Milky Way is only one of the countless galaxies in our Universe, what happens in other galaxies? Does the Messier 87 galaxy, along with its supermassive black hole, also contain a Galaxy Cauldron which is the birthplace of all heavenly bodies in that galaxy? 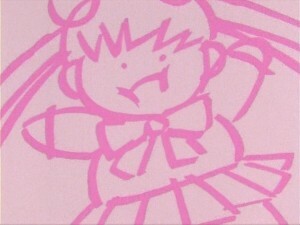 Does every celestial body have a Sailor Guardian? Would Galaxia and Chaos have moved on to another galaxy when they were done with the Milky Way or are the distances between galaxies too vast to bridge? When two galaxies collide, as happens frequently in the cosmos, do the various Sailor Guardians from those galaxies fight each other? Does everyone else also look like a human for some reason? These questions almost certainly don’t have answers! Besides this reference to the supermassive black hole at the centre of our galaxy, we also have a black hole featured in the movie Sailor Moon SuperS: The Nine Sailor Guardians Unite! Miracle of the Black Dream Hole. This black hole has only some similarities to real black holes. It is black! That’s a similarity! Things get absorbed by it and seemingly can’t escape it, though again Sailor Moon goes in and is able to get out, by destroying it, but again she’s full of magic and such. The way in which it is very unlike a real black hole is its enormous size! A black hole with the mass of the entire Earth would have a radius of less than a centimetre. As the Black Dream Hole is attempting to absorb the Earth its size grows and grows to a size which is suggested to be even bigger than the planet. This is a pretty standard way to misinterpret a black hole as it is hard to conceive of something being massive, in this case the mass of the Earth, but not being large. Since Naoko Takeuchi didn’t write the SuperS film, we can’t really expect any consistency here with what we see in the manga. I hope you’ve enjoyed this random musing about black holes. Do you think any parallels were actually intended by the author, or am I just grasping at passing similarities? 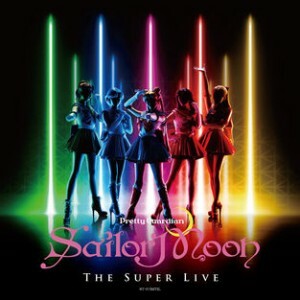 As the Pretty Guardian Sailor Moon The Super Live musical was being performed in the United States the soundtrack from the musical was released on iTunes and Apple Music around the globe! While Sailor Moon soundtracks are often just released in Japan this time the album is available on iTunes stores worldwide! The announcement on the official Sailor Moon site included direct links to the Japanese and US iTunes stores. I was also able to find it in the Canadian iTunes store with a little searching. 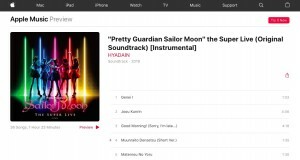 If you have trouble finding the album in your store try searching for “Pretty Guardian Sailor Moon” as there are a lot of results for “Sailor Moon”. I’ve never used Apple Music but I assume a similar search would get you what you need. Something important to note is that these are only the instrumental versions of the songs in the musical, meaning there are no vocals included! I’m not sure why they wouldn’t include the complete versions of the tracks but a couple of fans on Twitter mentioned that all but a handful of the songs in the musical didn’t have lyrics. It seems like this album isn’t missing much by omitting the vocals. Pricing is a bit inconsistent! The Japanese price is 2400 yen, which is about $22.50 US. The US price on the other hand is $15.99 US! Good deal. The Canadian price is $15.99 Canadian which is an even better deal since that’s the equivalent of about $12 US. I’m so used to paying $80 Canadian for a game that costs $60 in the US so this was a nice surprise. I’m used to import CDs and DVDs in Japan being absurdly expensive so being able to pay almost half of the Japanese price is a nice change. As I haven’t seen this musical yet, it’s hard for me to comment much on these tracks! The songs are quite good from what I can tell with a fun electronic sound and some nice throwbacks to music from the original anime, but this is a musical that’s meant to be seen and heard so I’m really only getting a part of the experience! The track titles are either hilarious or terrible, depending on how you choose to look at such a thing. It’s a mix of romanized Japanese, actual English words and romanized versions of Japanese translations of English words. This makes for things like “Seeraa Gaadianzu” instead of “Sailor Guardians”. I’ve included two track lists below. The one on the left is the better version from the official site which uses English words when the words are English and otherwise uses romanized Japanese. The listing on the right is the mess we get on iTunes! With a little effort one should be able to update their own track title info in iTunes. 12. Go to the Arcade!! 12 Go to the Arcade!! 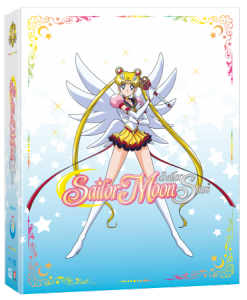 With the difficulty that often comes with importing expensive Sailor Moon media internationally it certainly is nice to see a release like this being worldwide. With the recent musicals having more and more showings outside of Japan this really is a move in the right direction for fans across the globe. 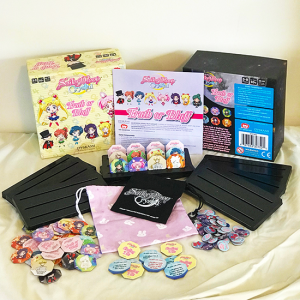 Supporting releases like this is likely to have more visibility to those who are marketing Sailor Moon than simply importing goods. 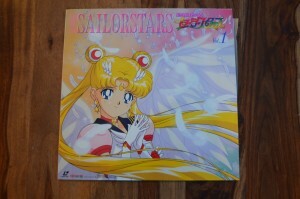 We can only hope that future Sailor Moon soundtracks will get a similar release. 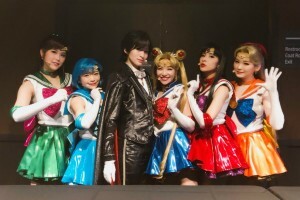 Some day I would certainly like to see a Sailor Moon musical released on video outside of Japan! Who knows what the future will bring? A lot could happen in the decades to come before Sailor Moon Crystal is wrapped up! 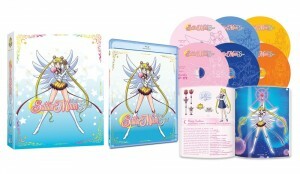 Is it appropriate for Sailor Moon to be partnering with weight loss shake Slim Up Slim? 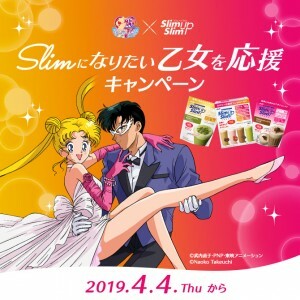 We’ve seen some odd things associated with the Sailor Moon brand over the past few years including condoms and tampons but this latest partnership with Slim Up Slim weight loss shakes seems inappropriate to me. 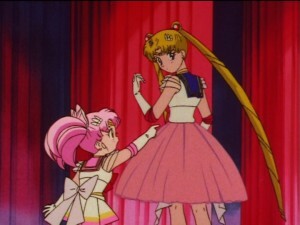 The image above shows Usagi and Mamoru promoting the shakes with an image accentuating her unrealistically long and slender legs. This just makes me wonder if it’s really appropriate for a 14 year old character from a children’s manga and anime to be used to sell weight loss shakes. This collaboration strikes me as something which could encourage unrealistic standards for women and girls and potentially lead to eating disorders, something which may be more of a concern to western audiences. Certainly I am aware that I am putting a North American lens on these things. As a Canadian I understand that we have certain body image ideas displayed in the media but also that most people are sensitive to these and ultimately encourage the idea that girls should not be told that they need to be thin to be beautiful as such pressures can be damaging. The other consideration of course is that there is an obesity epidemic in North America, which includes child obesity, and that this is a health concern. Encouraging healthy eating and exercise habits at all stages of life is genially positive, as long as it doesn’t get to the extent of shaming. Obesity is a factor in a large number of health risks, the most obvious ones being heart disease and diabetes, but also many others. That said programs asking children to eat healthy and exercise generally don’t tell them they should do so to be pretty, even if media, advertisement and other pressures may at the same time present a different image. So much to say, I don’t think the same can be said about Japan or Asia in general. There seem to be strong pressures to be thin in many countries and this campaign as well as what we’ve seen in the series seems to reflect this. Sailor Moon gives many positive messages to girls but the characters in the series are slender, pretty and all fitting to a very similar, albeit not terribly realistic, body type. We expect some liberties in things that are drawn, after all people don’t actually have eyes that big and noses that small, but still this is what we see. There have been many times in the Sailor Moon anime and manga in which weight gain was stigmatized. 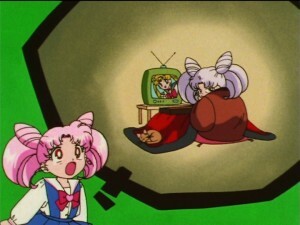 In the original Sailor Moon anime the main episode in which this comes up in is episode 4 “Learn How to be Skinny From Usagi” in which Usagi is worried she’s gaining weight and instead of telling her that as a thin 14 year old who shouldn’t worry about this, her family and Luna all agree that this is bad and encourage her to go on a diet. The Dark Kingdom opens up a gym, Shapely, which includes these pods which cause weight loss by draining energy. I found some of this troubling even when I watched this back in 1995, but the episode does have some redeeming ideas. 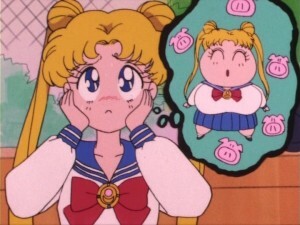 Excessive exercise, starving and binging are generally presented as being bad, and so a reasonable diet seems to be what is argued in the end, but still Usagi’s is repeatedly teased about her weight by pretty much all characters and the takeaway message really is that it’s good to be thin. Perhaps it would have been a better idea to skip dubbing this one and giving us episode 5 or 6 instead! That episode originally aired in March of 1992. It’s funny that in the episode Usagi comments, while walking by a Sailor V poster, that Sailor V probably never has to diet. She’d actually been through almost the exact same situation in the manga! 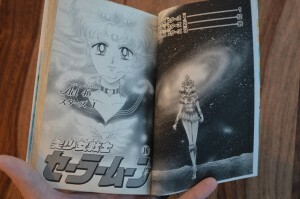 Canonically the Sailor V manga takes place before the Sailor Moon manga, though many of the stories were actually written later. Two years after episode 4 aired, in March of 1994, Naoko Takeuchi would write Codename Sailor V Volume 9 – Sailor V vs. deVleene!, which has such striking similarities to this episode that there must have been some inspiration. In the Sailor V story the Dark Agency plots to gather energy in a slightly more elaborate way. They sell cheap and delicious Rainbow Chocolate around the time of Valentine’s Day which causes rates of obesity amongst young girls to rise. Minako is included as those affected by this weight gain and Artemis criticizes her for this. All of the girls who are gaining weight are concerned and look for a solution. 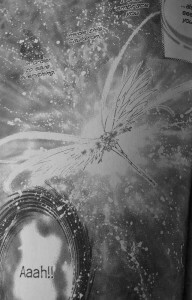 The two pronged strategy of the Dark Agency also includes the spa deVleene which includes the same sort of energy draining pods that we saw in episode 4 of the Sailor Moon anime. Compare the images below to see just how similar these were. The story takes an even worse turn when the Dark Agency’s deVleene is defeated leaving the girls of town obese. Kaitou Ace comes in to save them from their weight gain by raining diet candy from the skies as well as giving them flyers promoting weight loss tea (a scam product which doesn’t work in the real world) as well as tips on exercising and dieting. While the anime left us with a somewhat ambiguous takeaway the Sailor V manga certainly does not. The salvation for the girls affected is to lose the weight. There are other one off mentions of weight in the series and they’re usually the same. For example in Sailor Moon SuperS episode 145 “Become a Prima: Usagi’s Ballet” there are a number of comments about Usagi’s weight gain, as a small bulge is shown protruding from her tutu. This is similar to what we see in Sailor V. Throughout the episode of course Usagi and Sailor Moon keep their normal character designs of a very thin 15 year old. Another minor mention is in the first episode of the live action series where Usagi and Naru show envious attention to a model commenting on how she has a thin waist. I guess my views on this must be fairly obvious at this point. I’m not terribly pleased with this promotion. Ultimately I think it’s just indicative of a culture which is different from the one I am used to. I don’t say this to defend it but simply to explain it. 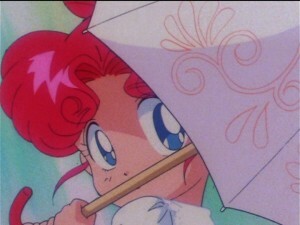 The other examples from Sailor Moon which similarly push this idea are not directly tied to this campaign. TOEI or Naoko Takeuchi likely aren’t outliers in Japanese culture to push the idea that it’s good to be thin, but both are likely simply reflective of what has been going on in the country for at least the past 27 years. No doubt these kinds of products and pressures exist around the globe, but I’m not seeing them promoted with children’s cartoons here in North America. Obesity is a big problem here but I don’t think the solution is a culture of fat shaming and telling children that being thin is beautiful. For better or for worse pressures to be thin and beautiful do still exist here and they have not managed to reverse the obesity epidemic. I think the trend is mostly related to access to cheap, habit forming high reward value foods. Last year I read a book about this topic, The Hungry Brain by Stephane Guyenet, and found it very enlightening. It discusses the various things which make us wired to gain weight in an environment full of the kinds of food we have around us. You’re probably better off checking out the book than buying some pseudoscience inspired “beauty diet” shakes. Following the success of last year’s Sailor Moon 4-D attraction Universal Studios Japan will be having yet another Sailor Moon 4-D ride starting May 31st 2019! This isn’t just a repeat of what was there last year but instead a whole new story! 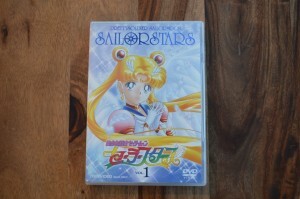 While I’m not fluent in Japanese it seems like this one is called Sailor Moon The Miracle 4-D Moon Palace Edition. 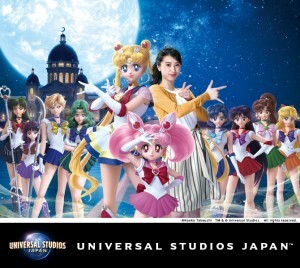 Where the first event featured Sailor Moon fighting Morga and the Dark Kingdom from the first story arc this new attraction will feature Super Sailor Moon as well as all 10 Sailor Guardians, that being Sailor Mercury, Mars, Jupiter, Venus, Pluto, Uranus, Neptune, Saturn and Chibi Moon. We can see an image of the CG versions of these characters above. The inclusion of all of these characters makes me wonder when this attraction will take place in the story. These ten characters are first brought together in the Infinity arc of the Manga. 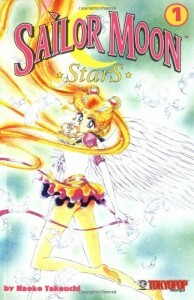 While only the core group continue into Sailor Moon SuperS in the anime, all of them return in the Dream and Stars arc in the manga. 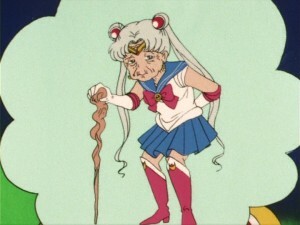 Sailor Moon eventually upgrades to Eternal Sailor Moon in Stars so it would likely take place prior to that. 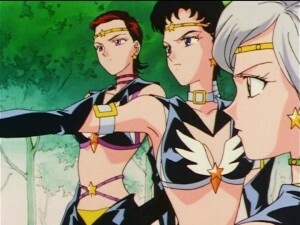 We also don’t see any of the other Sailor Guardians upgraded to their Super forms and Saturn isn’t a baby so it probably makes the most sense for this to to be taking place around the end of the Infinity arc before Hotaru becomes a baby and Haruka, Michiru and Setsuna take off for a while. 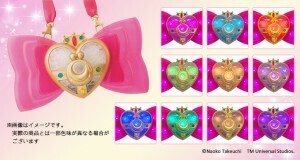 The most telling clue is that Sailor Moon’s Cosmic Heart Compact is the transformation item being used for merchandise. This was her transformation item used in the Infinity arc, so that is probably where this takes place. All that said there’s no Moon Palace featured in the Infinity arc. The palace is mentioned in the title and in the description of the plot. As with the last attraction there will be a bunch of exclusive merchandise sold at this event. We have Cosmic Heart Compacts in different colours. Are these supposed to represent the various Sailor Guardians? This would be nonsense since only Sailor Moon uses a Cosmic Heart Compact to transform. 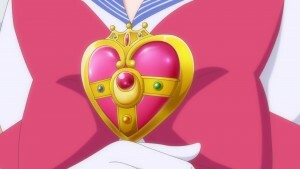 In the Infinity arc of the manga the other Sailor Guardians don’t use any transformation items while in Sailor Moon S the others continue to use their Star Power Sticks which they received in Sailor Moon R. Sailor Chibi Moon uses the Prism Heart Compact to transform during the Infinity arc or Sailor Moon S and this doesn’t much resemble the Cosmic Heart Compact. Even Sailor Moon’s actual Cosmic Heart Contact is red, of which only one of these Compacts is, and it isn’t clear that this one is tied to Sailor Moon. In all there are 11, not 10 of these, so I don’t even know that there are meant to represent individual Sailor Guardians. They’re just different coloured Cosmic Heart Compacts which to me seems to be a very odd piece of merchandise. Did any of you get a chance to visit this attraction last year? 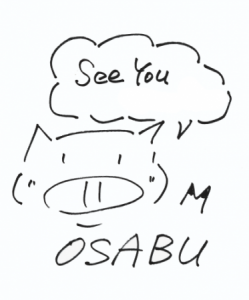 Do you expect to be able to go to Japan while this new event is on? 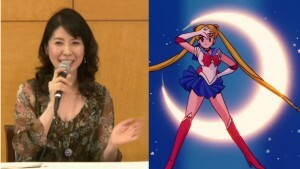 Earlier this month on March 1st 2019 Hisako Kanemoto, who voices Sailor Mercury in Sailor Moon Crystal, returned to voice acting after a nearly year long hiatus while she was studying abroad. 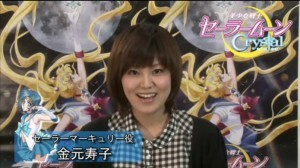 Her lengthy absence from voice acting had no impact on the recording of Sailor Moon Crystal which had it’s last episode airing nearly three years ago on June 27th 2016. She left Japan to study abroad last summer around the last time that we heard any news about Sailor Moon Crystal’s fourth season. At the time we learned that Kazuko Tadano would return as animation director during an event on Usagi’s birthday, June 30th 2018. Were Sailor Moon Crystal adhering to a schedule similar to other anime series or even any other TV series airing elsewhere around the globe such a lengthy absence would surely have had an impact on the recording of the series. As an example of this when Phylicia Rashad was pregnant during filming of The Cosby Show they had to shoot around it, having her mostly appear in bed or sitting behind furniture. 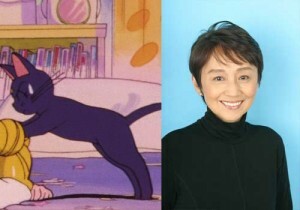 Even during the original Sailor Moon anime Kotono Mitsuishi was unable to voice Sailor Moon for the first season finale and some episodes of Sailor Moon R due to a relatively short illness, having her dialogue recorded instead by Kae Araki, who would later voice Chibiusa. Luckily for fans of Sailor Moon Crystal we have years to wait between seasons allowing voice actors to spend a couple of semesters studying abroad with no impact to the recording schedule. 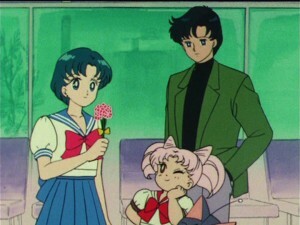 By the time we get the two movies that will be the Dream arc of Sailor Moon Crystal perhaps some of the voice actors will have had time to raise a large family or go to medical school and do a residency. 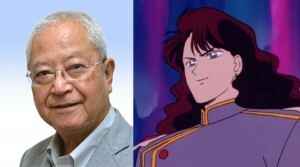 On the flip side there is a growing chance that some of these voice actors, who were quite young when Sailor Moon Crystal was first announced and children when the original Sailor Moon first aired, may be retired or worse may have passed away of natural causes by the time we get more Sailor Moon Crystal. We certainly hope this is not the case but the ever patient fans know better than to set their expectations to a specific timeline at this point! Ultimately I find the fact that Sailor Mercury’s voice actor went to study abroad to be quite fitting as it was Ami who, in episode 62 of Sailor Moon R, nearly did the same. In this case Ami stayed behind in Japan as the Sailor Guardians would not be able to get by without her during the lengthy time she planned on studying out of the country! Luckily Sailor Moon Crystal’s schedule is much more forgiving than the life of a Sailor Guardian allowing for such lengthy absences. Will we get more Sailor Moon Crystal before the heat death of the universe? I certainly am remaining optimistic that this is the case! As I have conceived and become father to two children and built a house since the last episode of Sailor Moon Crystal aired I’d say a lot might still happen before we see those movies! What sort of time consuming life accomplishments have you made since June 2016? What else do you hope to happen before we see Pegasus in Sailor Moon Crystal? The game comes with some nice looking tiles featuring a number of Sailor Moon characters. Check out this image of all of the box’s contents. The game is now available to pre-order for $35 US. Fans can also order the expansion for Sailor Moon Crystal Dice Challenge which includes characters from Season 3, the Infinity arc. The original game included characters from the first two seasons. The expansion costs $25 US. No specific date is given but both will be out at in the Spring of this year. 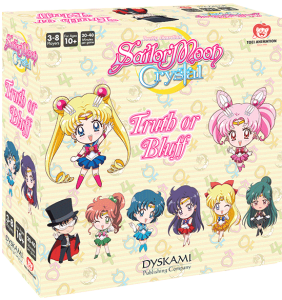 Sailor Moon Crystal Truth or Bluff and the Season 3 expansion of Sailor Moon Crystal Dice Challenge can be pre-ordered from the Dyskami Publishing store. Once released the game will be available in stores in the US and Canada. Do you plan on getting this game? Did you enjoy the Dice Challenge game also released by Dyskami?